Drupal is one of the most flexible, modular and customizable open source Content Management System (CMS) powering thousands of websites (my list here). It is not only easy to kick start a site using Drupal but advantageous in numerous ways, primary the seamlessly pluggable modules and themes make Drupal an obvious choice. Drupal 6 is out and being widely used but modules of Drupal 5 have not been fully transformed to Drupal 6. 1. Content Construction Kit (CCK): CCK tops the list of modules you should have why, because it permits you to create your custom type nodes like say publication, interview, a node with one picture compulsory etc. CCK standalone may not be fully effective but in conjunction with views and panels you can create a site that may not even look like a Drupal site. My review on CCK at drupalmodules.com can be found here. You can download the module here. 2.TinyMCE: Tiny Mexicode Editor claims to be the most popular rich text editor for form text area. It buffs it is used for many CMS like Joomla, Drupal to mention some. To use Drupal’s TinyMCE module is a two part deal. You first have to download the module and place the TinyMCE package in it to make it functional. Here is a screencast on how it is done and even adding Drupal teaser break and page break. It gives you immense flexibility and support to structure your contents with image placement and things. Use it to know it yourself, if your site users are not familiar with HTML coding then this is one of the best option as your Rich Text Editor.You can download the module here. 3.Views: is the life save for Drupal site admin or even Drupal Developers. With this module you get a wide array of choices on how to display your nodes as teasers, full nodes, list views etc. It makes Drupal content rendering as customizable as possible and with use of arguments you can work wonders with views. A feature that got me out of trouble once is to give our custom RSS from views, that was great. More on views in my review here. You can download the module here. 4.Panels: is another great module to show a custom node/page display without much headache with the block regions in the template.php file of the theme. 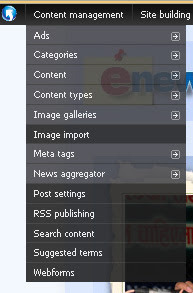 It lets you fully customize the display of your pages but on given set of options. Refer to this post here to know more what Panels can do and my review here to know more about panel. You can download the module here. 5.Image: This module with its sub modules like image cache, image gallery, image attach lets you handle your images in a coherent manner. You can integrate this module with other modules to get better results. You can even create your own gallery using this module with above mentioned modules. This module’s image gallery sub module lets you create a simple gallery which can be polished using some CSS and Light Box 2 module. Image is a must use module if you website uses image of any kind. You can download the module here. 7.Light Box 2: is a modal window module that lets you overlay content on top of the pages in another window. A comparision here, shows its the best option leaving its competitors thick box and others behind. You can show a variety of content from image, video to others using this module but to show other content except image you must code it yourself. This module integrates with the image module and its sub modules with minimal effort and maximum result. More on light box here, Download this module here. 8.Service Links: Now you have your content and images, might have done some Search Engine Optimization (SEO) as well but thinking how will you add buttons to post your links to social networking sites. There are new options like “Add This” and others but Service Links is also not bad option. It gives buttons like add to delicious, digg, technorati to name some. Download this module here. 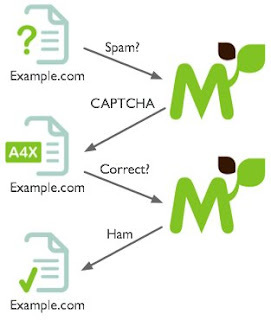 9.Mollom: Mollom is a new spam fighting effort mainly initiated by Dries (Drupal Project lead) himself. With a central server to see if posts are spam or ham(not spam) it claims a high percent of success. You can get more information here on its official website. 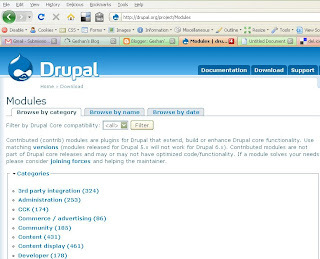 You can download the Drupal Module here. 10.Admin Menu: Last but not the least, this is the module that you might not have used. It sets up a menu access to all your administration links (/admin) on top of your pages in a tree like format. This module saves lots of time of the site admin. More info here on my review, you can download this module here. Some other great modules you can try your hands on are Google Analytics - review here and Ext Link - review here. Hope you will use the above mentioned modules to the optimum and make your Drupal site look and perform better. Best of luck, happy Drupalling.